By Catherine on July 26, 2018 | Last Updated August 2, 2018 | 5 Comments | Medical Disclaimer | This Post Contains Affiliate Links - I may receive a commission if you purchase through links in this post. Ginger Beer is an excellent digestive tonic and refreshing beverage that I never considered making at home until it became popular in the local Seattle food scene. Unfortunately, a local ginger beer spot in my area sells the stuff for $17 for 32 ounces (that’s about $66 per gallon), so naturally, I wanted to make my own at home. 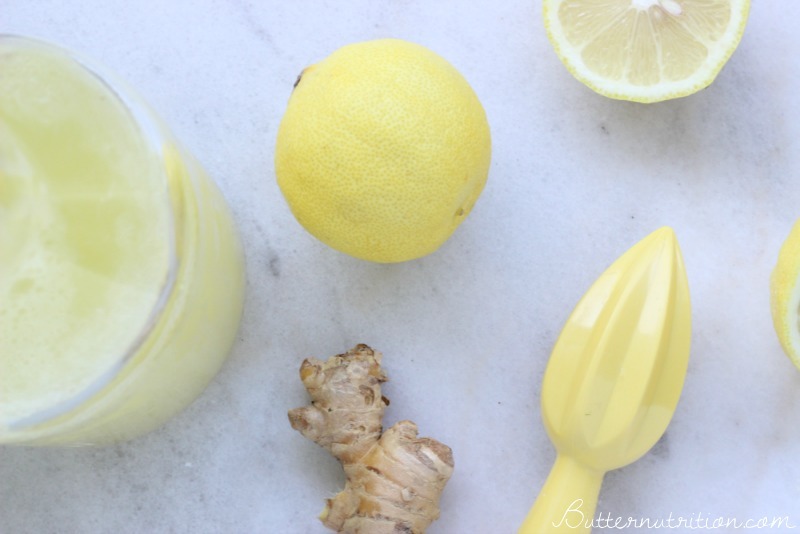 Now I’m thankful it’s so expensive to buy, because it forced me to create up my own non-fermented ginger beer recipe, which I’m sharing with you here today. 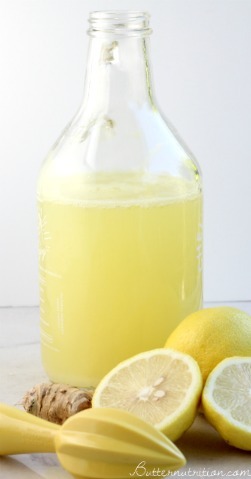 Collect 1/2 cup lemon juice from about 3 lemons using a lemon reamer or a fork. Strain briefly to remove the seeds. Juice enough peeled ginger using a juicer to amount to at least 5 teaspoons of fresh ginger juice (from about 1/5 pound of peeled ginger root). In a glass airtight container, combine the sugar, lemon juice, ginger juice and stir until the sugar is dissolved. Let sit for 5 minutes if necessary. Once the sugar has dissolved completely, pour in 24 ounces of carbonated water. Seal the container, shake briefly and place in the fridge to chill. I love using this homemade ginger beer recipe as a digestive tonic and to make cocktails at home. What is your favorite way to use ginger beer? Please share in the comments! Thanks very good and easy receipe. I always like Ginger juice and Lemon juice combination. 1). Does carbonated water have side effects for diabetics or people with blood pressure? 2). Instead of cane sugar can natural raw honey be used? Do you know how many carbs this recipe has? How many servings does it make? This one is non-fermented for simplicity and quickness — not “better” on any level except from the time perspective.